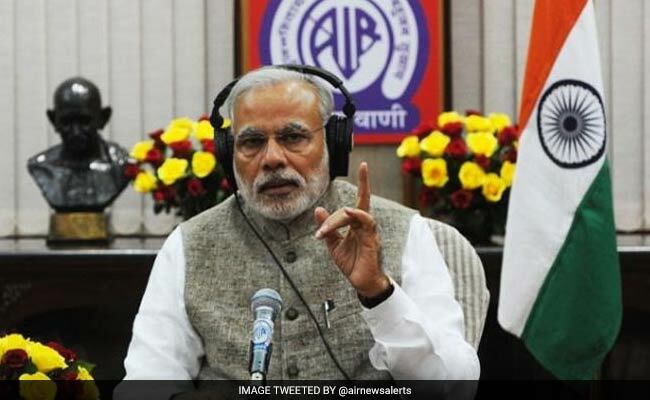 PM Modi addresses the nation on Mann ki Baat, his monthly radio programme. Their vote, he said, will become the "foundation of a new India"
Prime Minister Narendra Modi today addressed the "New India", the 18 to 25-year-olds of the nation on his Mann ki Baat, saying their drive, energy and enthusiasm will make the India of his dreams a reality. New India, he said, is one that offers equal opportunity to everyone to fulfill their dreams and aspirations and is free of casteism, communalism, terrorism and corruption. The guiding force of this New India, he said, will be "Peace, Unity and Goodwill". Addressing the nation on the last radio address of the year, PM Modi said, "Tomorrow, January 1, is special. We welcome those born in the 21st Century to the democratic system as they will become eligible voters". Their vote, he said, will become the "foundation of a new India". "You will not just be granting yourselves the right to vote but will be making yourselves the founders of the tomorrow's India," PM Modi said. The Prime Minister has been expanding regularly on his concept of New India, which he had outlined in 2016. In an earlier episode of Mann ki Baat, he had spoken against the entrenched VIP culture in the country and said it was not part of the New India. "New India is not about VIPs, But EPI", he had said -- EPI was defined as 'Every Person is Important'. This time, he suggested a "mock parliament" in every district of the country, where 18 to 25-year-olds could sit together discuss "how we can accomplish our goals by 2022 and build an India that our freedom fighters dreamed of". On this journey, he said new opportunities are being created for the young people in the country and they are excelling in every field, from skill development to innovation and entrepreneurship. "It is now time that a system is created where newest development opportunities are easily accessible for the youth of New India as they turn 18," he added.